The Homeschool Buyers Co-op is pleased to present a NEW GroupBuy for award-winning Home Art Studio DVD Art Curriculum for K-5th Grades! 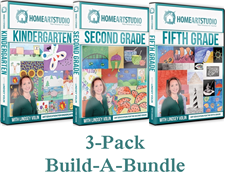 Members SAVE UP TO 50% on Home Art Studios titles! You choose 3-Pack Build-A-Bundles or take the 6-Pack Complete Set. Welcome experienced Art teacher, Ms. Volin, into your home via DVD curriculum! Watch as your child learns to express themselves creatively while learning fundamental concepts and principles of Art. Ms. Volin also includes Art History and recommendations for integrating other subjects for a cross-curricular experience. 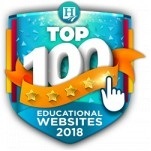 Designed for K-5th Grade students. Visit Home Art Studio to review the program. 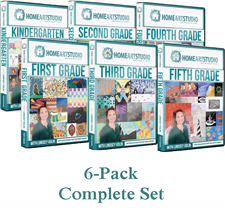 Also, a mom and accredited teacher, Ms. Volin is the instructor on the Home Art Studio DVDs. Majoring in Studio Art, she carries an Art Education Teaching Certificate with experience in both public and private schools. Ms. Volin knows the value of Art Education and shares her passion by making it fun for all! 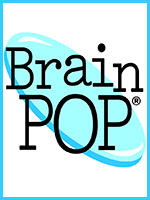 Age-appropriate lessons - Designed for Kindergarten through Fifth Grade. A Complete Year of Instruction - Each program contains enough lessons for a complete traditional school year, one lesson per week. Access to the Home Art Studio Community - Upload photos of your student's completed art projects for Ms. Volin to comment on, or access additional lesson plans and tips for you! 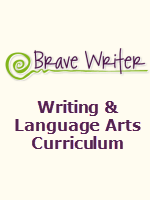 An Easy Approach - You don't need to feel intimidated by teaching art. 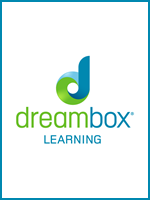 Provide your student with the supplies they need, turn on the DVD and let the fun begin! PDF of Lessons - In addition to the DVD lessons, you get written versions (PDF format) of every lesson plan available to you on the DVDs. Visit the Home Art Studio website for more information. Fulfillment: Within minutes of order placement, your order will be forwarded to Home Art Studio. Your order will be processed and leave the Home Art Studio warehouse within 5 business days (or less) after you place your order (Please allow an additional 10-14 business days after for transit time and your shipment to arrive). Shipping: Your order will ship by USPS Media Mail. $5.95 shipping for U.S. destinations. Media Mail does not offer tracking services. Canada, please add an additional $5. Sorry - expedited shipping is not available. Offer available for U.S. and Canada shipping destinations only. Returns/Cancellations: As this is a special group purchase, you cannot back out once you place your order. Home Art Studio Refund Policy is applicable: Returns accepted within 30 days; product must be unopened and in resaleable condition. Submit your return request at Co-op order support page. You will receive return instructions via email and/or phone. 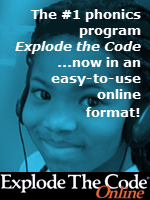 Mix and match the program levels that you need for your children! Choose from grades Kindergarten through 5th and Holiday Arts and Crafts. Please Note: DVD Curriculum does not include art supplies. Home Art Studio recommends Purchasing Supplies Separately Here. Maximum quantity is 1 (of this bundle) per order. Need more? Please see bundle choice below, or place an additional order. Bring the entire Home Art Studio program into your home. Includes all 6 DVDs- grades Kindergarten through 5th. Please Note: Holiday Arts and Crafts DVD is NOT included in the set. DVD Curriculum does not include art supplies. Home Art Studio recommends Purchasing Supplies Separately Here.